You could say the architects got a little carried away. 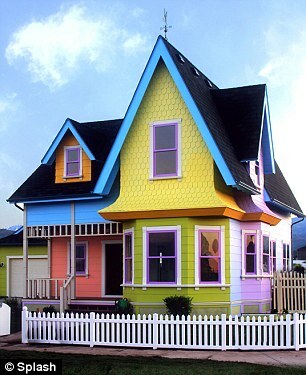 American builders have recreated the quirky multi-coloured house from Disney Pixar film ‘Up’. 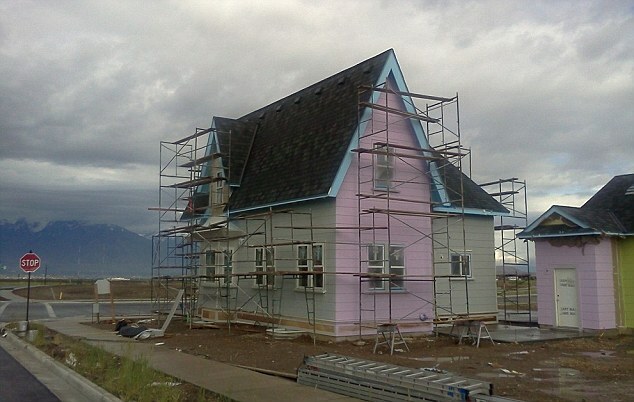 Bangerter Homes have built a perfect replica of the property in the Herriman Township near Salt Lake City, Utah. 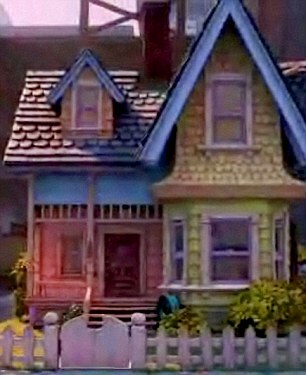 The 2,800sq ft home has been officially approved by Disney and every attention to detail has been paid. 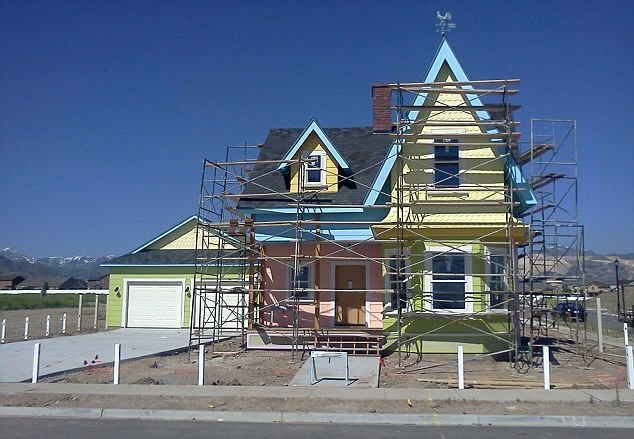 Contractors matched the smallest of things from the garden hose reel to the front door, right down to the weather vane to those seen in the 2009 animated film. Though it is unclear whether the chimney comes equipped with large net of balloons for when the owner wants to make a handy escape or embark on overseas adventures. The builders also installed a ‘Paradise Falls’ painting above the fireplace, ready for the house being included in the 2011 Salt Lake Parade of Homes. With four bedrooms and three and a half baths, the home is expected to fetch $399,000 – a portion of which will be donated to the Make-A-Wish Foundation. The heart-warming film Up follows the story of 79-year-old Carl Fredricksen. At risk of losing his home because of local planned construction the elderly widower attaches balloons to his house to pull it from its foundations, and sets out to fulfil his life long dream to explore the wilds of South America. Once airborne he discovers that he isn’t alone and has a stowaway in the form of eight-year old boy scout Russell – who had visited his house trying to earn his ‘assisting the elderly’ merit badge. The pair land in a place called Paradise Falls – which Carl had always dreamed of exploring – and begin their adventure involving their a talking dog, an explorer and the battle for a flightless bird. Monorails down at Walt Disney World? Where in Walt DIsney World Can You Watch the Olympic Games?